The more I delve into world issues the harder it can be, not to understand or even come up with solutions, but deal with the situation that we have not only got ourselves into but the one we keep perpetuating by not making the serious and necessary decisions to push things forward as a planet or a global civilisation. There is only one planet. The issues that stem from this patriotic politicism are great in number but a lot of these come down to resource management, good management and infrastructure or food security ,continuity in political decision’s. Whilst I’m not going to go around shouting I know all the answers just yet, solutions do need to be found on how to address these. Growing population numbers and an attitude to food and wealth which misleads people in to thinking that they should be entitled to whatever they want, and not what they need, is exacerbating the situation greatly, but solutions are out there. One of these is aquaponics. The project I visited, was not only run by an incredibly intelligent and passionate person, but was created in a way which was fully self-sustainable and produces and farms a lot of meat (fish at the moment) and vegetables, utilising the most of an half acre site in rural Nepal. It’s complex, it’s intrinsic nature almost means it’s close to being its own ecosystem, but, when profits are as vast on a yearly basis as this it seems worth it, especially when it can create so much. Nestled in one of the smaller valleys its controlled nature (all of it is built and designed inside to prevent theft, diseases or birds eating or disrupting process) can produce food all year around and supplies a market that’s already outgrown the supply, due to its purely organic nature. At the moment this is a demonstration farm, which when at full capacity has the ability to produce 3.2 million Nepalese rupees a year (just shy of £25,000) on a half acre site, which when mostly profit, and in a country with the economic infrastructure of Nepal (216,000NR to start paying tax, something only around 800,000 people pay) is more than enough to live not only comfortably but ambitiously. The owner, has spent the the last couple of years perfecting the system, he was working with trout and tilapia (a fish native to the Philippines and Israel amongst others), but has since decided to focus fish wise just on tilapia, a fish that is popular with the large Phillipino community in Kathmandu and also because it is easier to maintain a hotter environment then a colder one and trout require a lot more to maintain efficiently. 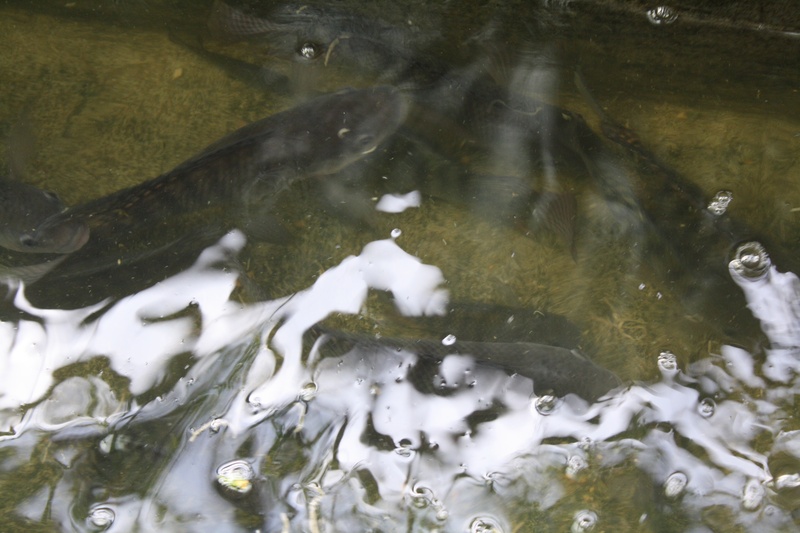 Tilapia are a lot less temperamental than trout as they can live in still water and the hot temperatures they live in are easier to replicate whilst they also protect their young by carrying them in their mouths increasing the likelihood of the young surviving. To manage the simulation for the tilapia eggs in an incubator to replicate that of the mother tilapia (females normally end up showing easily that they’re looking after their eggs by not eating whilst the eggs are in their mouths and also staying in a corner of a tank), the owner will be creating a simulator which is a vertical cylinder with a convex bottom which has air being pumped into it so that the eggs are continuously being turned. Tilapia eggs when they hatch eat the yolk that are produced from the eggs they’re from. The newly born fish will be kept in this incubator for 2/3 days. He keeps the management of them simple, when just fingerlings he puts them into a small section of a cement tank (see below). The dimensions of this are 8ft long, 3ft wide and 1ft deep. 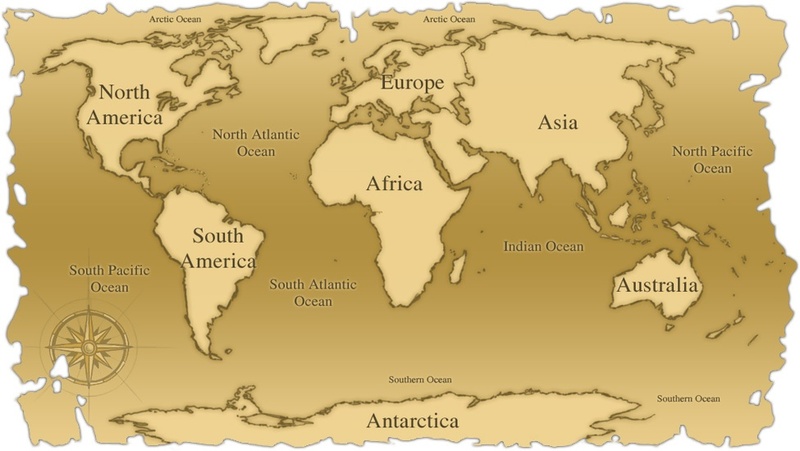 These, as you can see below, are separated into three sections. One is a corner, for the youngest fingerlings and then, once they’ve grown enough, they’re encouraged into a side (about 6ft long) where they’re again left, before they outgrow that and then moved into a section which encompasses one end and an entire half of the tank. From here the fish are moved into bigger growing tanks. These initial tanks take up to 850 litres of water apparently. They are separated by partition screens to allow the waste but not the fish flow through, apart from the last one which is solid as to allow for the waste to be filtered out. Each tank should be able to hold up to 1,500 growing fish in these nursery tanks and is a continuous process. 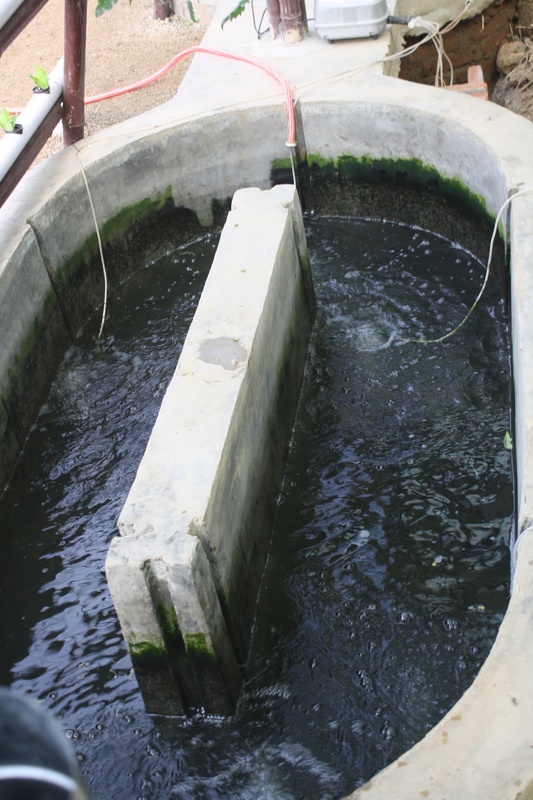 To help with the water flow and to get rid of the sediment and to help the fish grow and get stronger, and to prevent disease the water is aired through air stones, and a flow will be created by putting deflector shields into each tank, which is a piece of material which is designed in a right angle manner which is placed upside down. This will also be designed to go up and down with the water level. Aside from fish, the owner is also using his system of aquaponics to grow mixed leaf vegetables, so lettuces, herbs, spring onions, rhubarb, cabbages along with tomatoes and is aiming to breed goats, turkeys, chickens, pigs, fresh water shrimps and ducks whilst farming bees honey, something which also obviously helps with pollination. The turn over rates of all of these are great for business… tilapia females can be expected to produce as many as 200-1000 eggs a month all of which take around only 1 week to 10 days to hatch, with full size adults (he has methods to improve growth rates too) reaching upto 350-400grams in size, a growing process which on a conservative timescale takes around 8 months. Breeding tanks though will have 1 male for every two females and females will only be kept for breeding purposes as they dont grow as quickly. The amount of chickens he’s aiming to have also means that he can expect upto 50 eggs a day, whilst a full grown turkey which takes quite a lot longer to grow and farm brings in 7,000NR. To deal with compost and also for creating feed vermacomposting is going to be implemented. Black soldier fly larvae are going to be grown in bags living off all the unwanted or unusable waste created, these in turn will also be used for food for feeding the fish. Self sustaining. 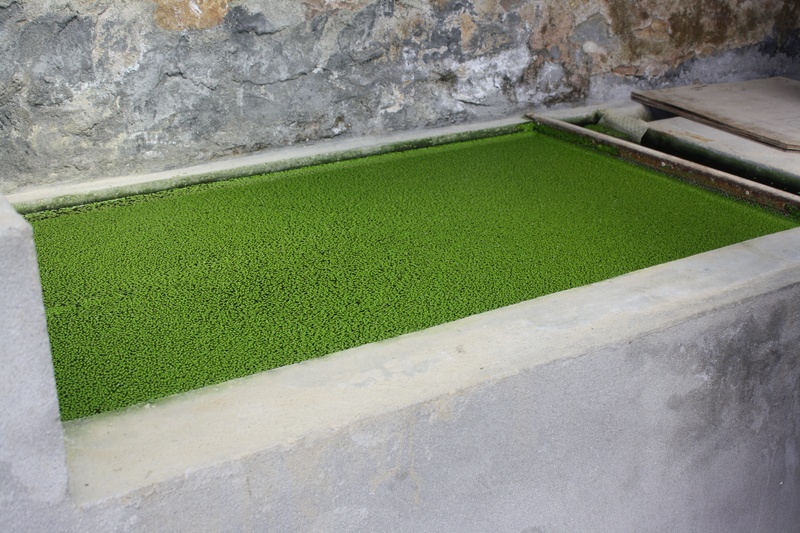 Other types of feed will include homegrown duckweed, a source which replenishes itself upto 50% a day and produces around 45% pure protein, something again which helps the fish grow. Solar power (panels facing south to get as much sun as possible) is utilised throughout the year with any excess energy being stored in a host of batteries which help keep things running regarding the more mechanical processes, such as float switches, a switch which 3 times an hour is used to allow more water to be pumped into each tank (will go away through filtration needed to keep fish waste out of water) and to keep the water fresh. There’s a backup generator which is 1/2 horsepower should it be needed and is through a electronic switch turned on as soon as the solar power doesn’t work. This includes various methods. Heat has to be provided on a day to day basis all year around, tilapia are in essence a warm climate fish. 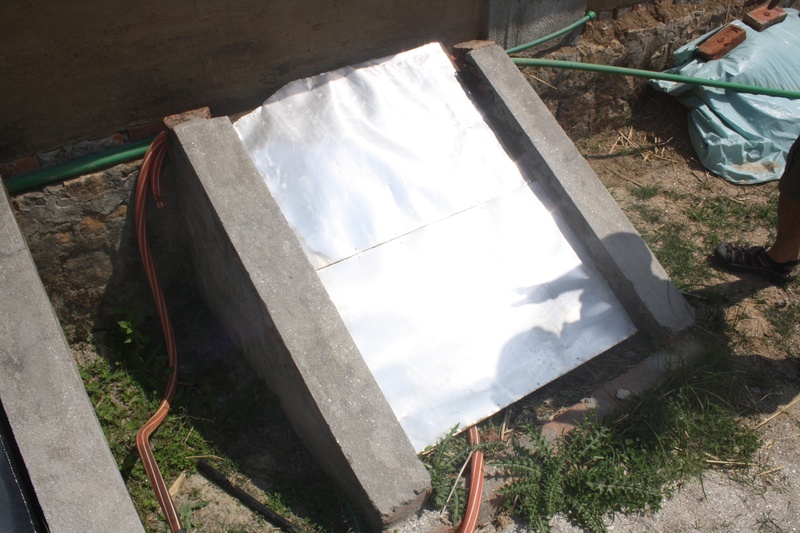 There are three methods being used to heat the buildings. They’re placed in outside compartments like the one above which have a reflective sheet under and a sheet of glass on top in order to heat the water faster due to reflecting the light more times than it would normally, and intensifying the heat caught in the process. The water heated from these solar water heaters gets pumped into the fish tanks to keep the water hot. 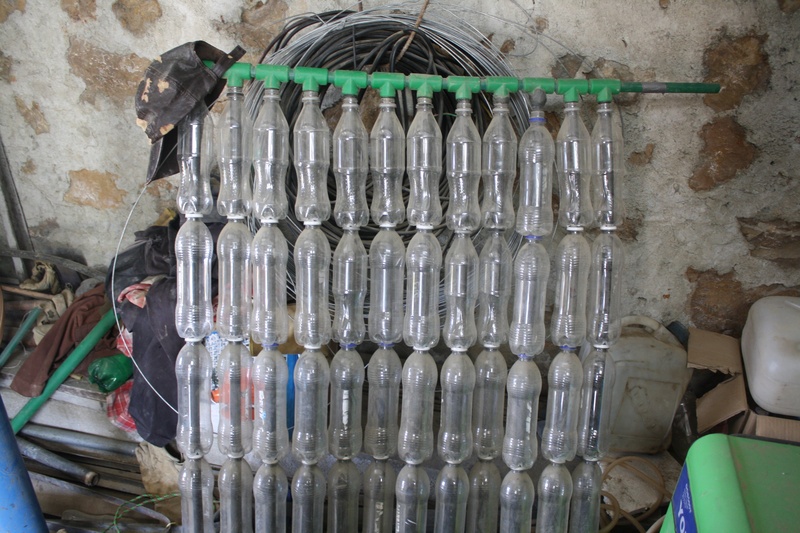 Another is a handmade air heating system (see below) made out of old drinks cans. Two 12 volt fans are put in the bottom of either side to circulate air and again the air heating system is put in to a diagonally placed holder with a sheet of glass placed over it. Hot air accumulates and is funnelled into the main building to maintain the hot air environment throughout the year. The ideal air temperature I was told would be about 25-26 degrees Celsius. The third is rocket stoves, these are based inside the buildings and are wood fed steel drum stoves which can, in the burn chamber, reach temperatures of 800 degrees Celsius. This is fed by twigs and kindle and is designed in a way which creates a lot of convection current. 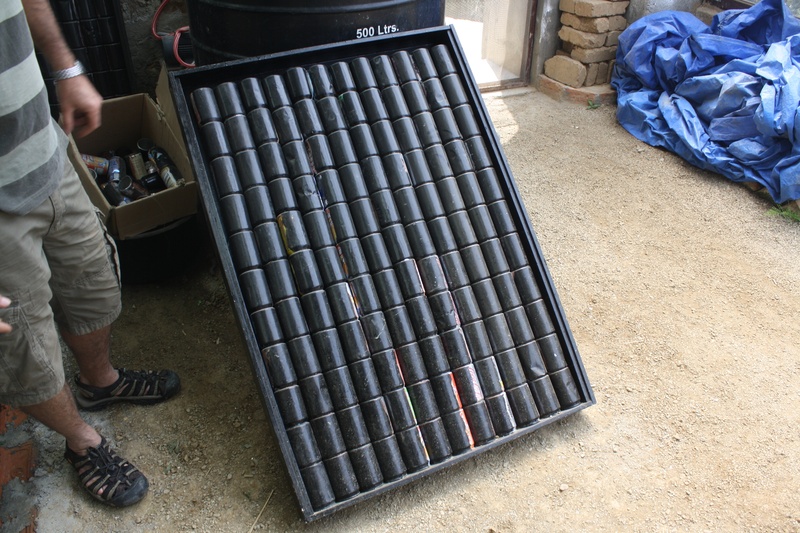 This feeds radiant heating pipes (with a ventilation pipe at each end) which reach temperatures of 25-50 degrees celsius. The steam and condensation again goes into improving the atmosphere for the plants. Obviously water though is a main issue which needs to be managed here for Aquaponics to work, on average using this system and scale about 7% of the water used needs to be topped up due to evapouration. 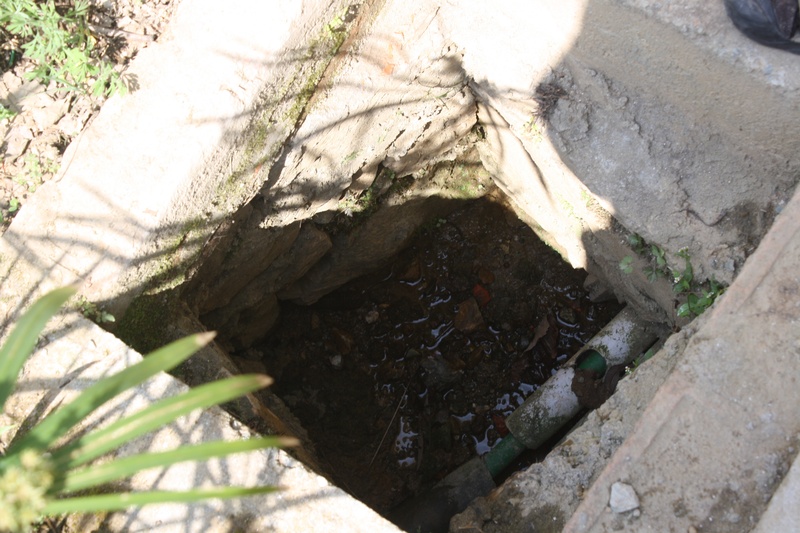 Due to the monsoon though acquiring the water isn’t that difficult. Harvesting water is done and water is stored through three storage tanks which capture water, which is filtered through gravel (apparently a more effective way of purifying water than sand)… In total the tanks here can hold up to 26,500 litres. Other means of getting water into the system is by pumping it up from the river at the bottom of the valley through a Ram Pump (see above). 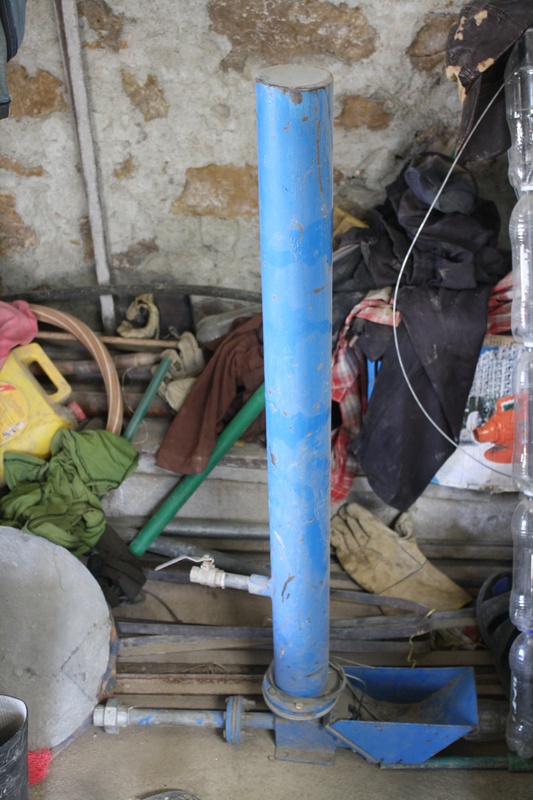 Put 2 metres downstream from the entry pipe (to the stream), it works through water pressure (compression waves) and can pump around 3 litres of water per minute to a verticle head of about 15 metres up. The piping over this gravel pit has been cut into q segment which has holes in the bottom of it which lets ground water into one of the water storage tanks, the gravel again acts as a filter for any sediment, but when the monsoon rains come, if it gets too much then the piping is turned upside down and then just used as a drainage system to direct the excess water straight to the river at the bottom of the land. 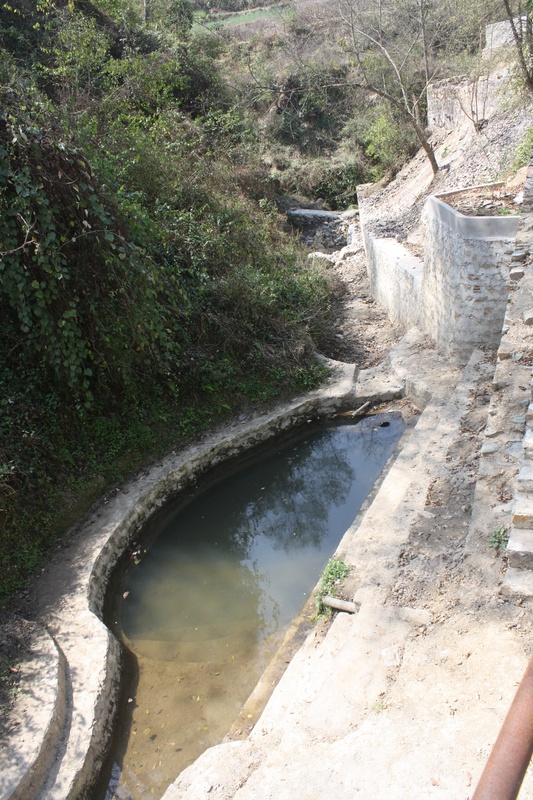 To prevent land erosion as well, the land has been altered at the river/stream level to stop erosion… This also helps capture more water but due to its structure helps stem the flow of water to those further down the stream, therefore protecting their land. 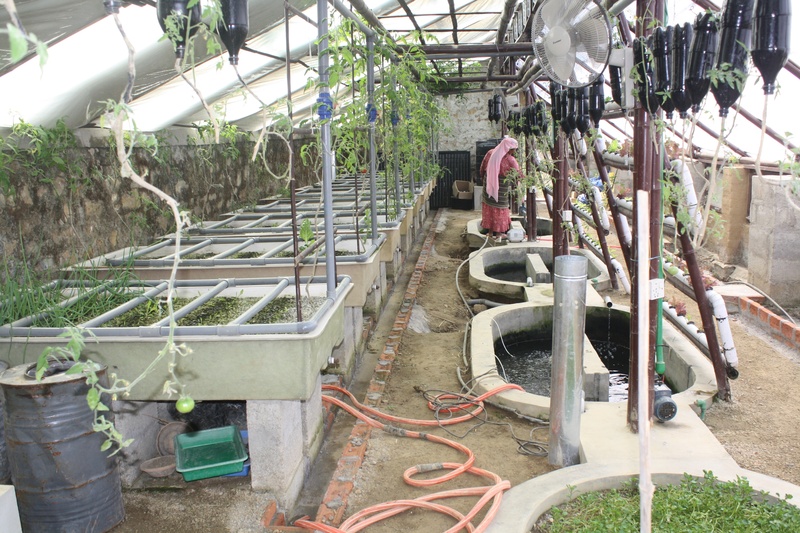 The waste water that is filtered out of the fish tanks is then pumped into the gravel beds where some the vegetables are grown. Gravel beds and fed through a drip irrigation system of the waste water from the fish tanks as the waste water has various nitrates in it which is good for the plants. The gravel and roots will absorb these nutrients to help the plants grow. Gravel is used instead of soil because it is again, easier to manage. To maintain a clean and healthy production system for optimum growth of plants and to maintain the efficiency of the system the gravel beds are backwash cleaned once every 18 months. This is a process that takes about half an hour and so has little effect on the rest of the system. Another way to grow vegetables and also make the most of the space you have is to build upwards…this is a process called nutrient film technique.. 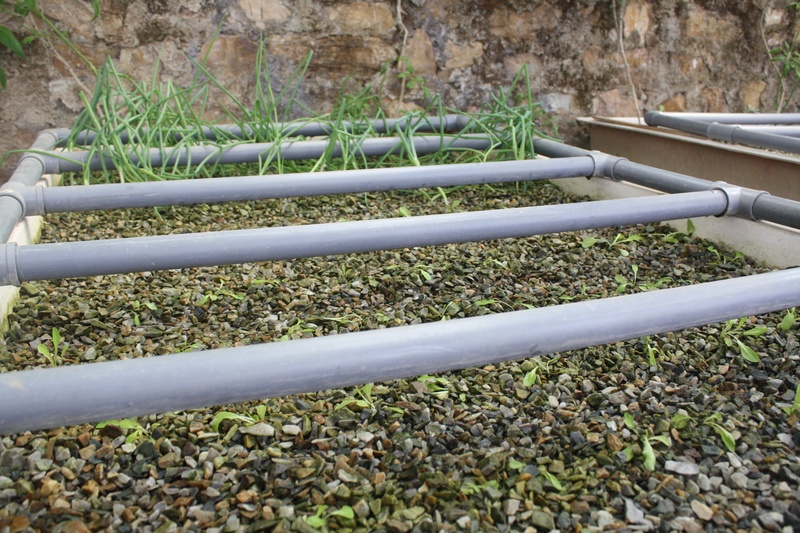 This is a process through using piping and supplying a steady but small stream of water to already semi developed plants to allow them to grow further, the piping can go from the top down and as a result there will be a constant flow of water due to gravity, the end water leads into raft channels which is where the seedlings are grown, the fresh water is then pushed into the fish water system. This clean water helps manage the acidity and prevent ph spikes that arise due to the waste of the fish. As you can see from the above pictures each plant is held in its own ventilated pot to allow for root growth. The size holes needed to be made are around 1 and 1/2 inch wide for two inch wide pots. A raft channel for the seedlings to grow initially before being moved into the nutrient film piping. The small pots make it easier to check their progression and also manage their roots so they don’t get too tangled up. These are floated in this picture on polystyrene sheets, but you can use any floatable device. And that in a simple manner is it and how aquaponics works. There’s a lot to it but a small half acre site is planning to grow 3 tonnes of fish and 5 tonnes of veg a year, let alone the extra added in via other livestock and selling of compost and other avenues including the training on offer to locals. ← Orphanages the light at the end of the tunnel? An Indian solution from the depths of poverty. hello, nice read. 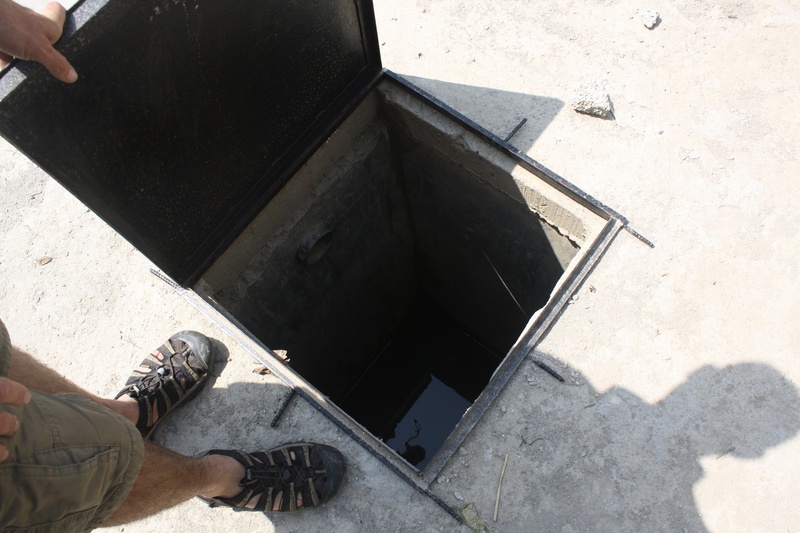 where is this in nepal and any way to reach them? thanks! The organisation is based just outside of Kathmandu and is called hope bioponics – can be found online via Google and also linkedin. 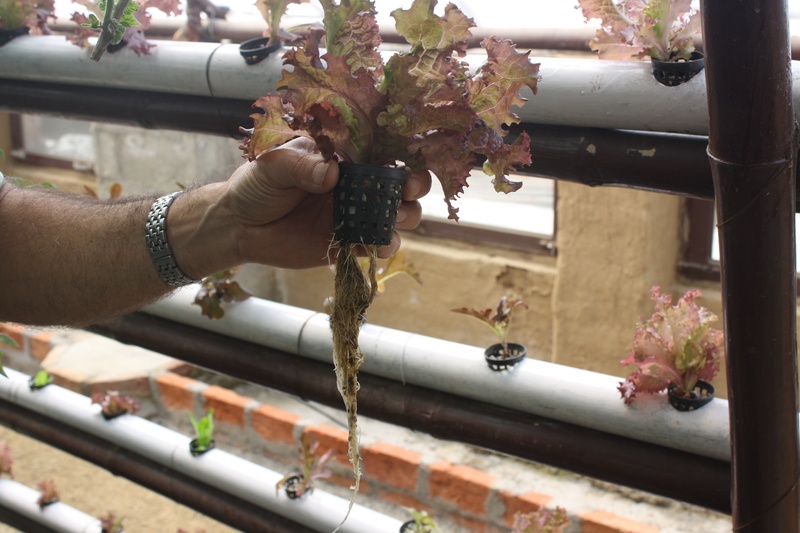 Was doing some intensive research on the internet about aquaponics system and i am obsessed with this sustainable system which is very much suitable for a country like Nepal. Planning on setting up my own aquaponics system at Begnas lake, Pokhara. And another thing, if its possible to setup my aquaphonics system using my existing fish pond which is a land based aquaculture. That way my initial expenses would be a lot cheaper and i’ve been feeling other benefits of merging land based aquaculture with aquaponics system. your opinion and ideas regarding this matter shall be highly appreciated. Peace and keep growing these wonderful life giving plants and herbs. 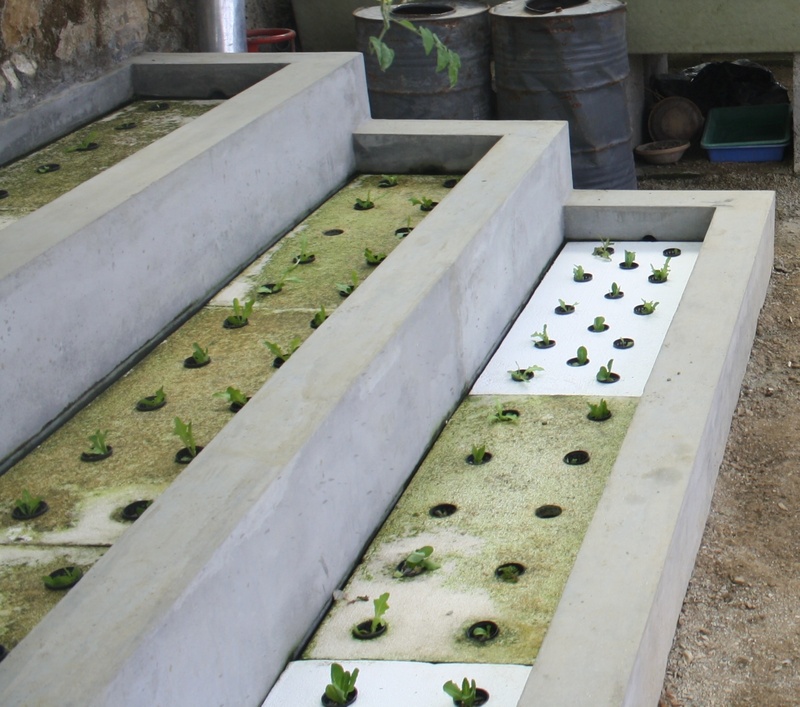 Very good to hear aquaponics systems started in Nepal. I am also working on same system. But i am doing on plastic Barrel for trial basis and it works. Hope we could share our words and help each other. Hi Devendra, I am glad to hear, you are doing aquaponics in Nepal. I am also trying it, It’s been almost one year you have started. Is your system still working fine. Which fish you are using? In which area you are doing? what is the size of fish tank? Hope to hear from you and we can share our experience. where is this in nepal? is the system completed?…training programs?? This part is pretty much completed.. The only thing that needs working on is the training centre and the scale to grow more. 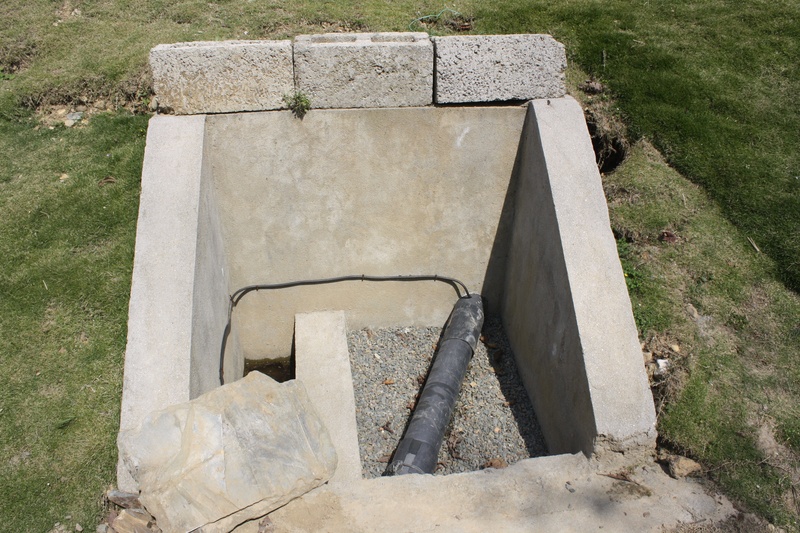 The project is based just outside Kathmandu. I’m sure if you got in touch with bill he’d be willing to meet and chat. i commented on the HISG’s youtube channel and still not yet known where the place is? 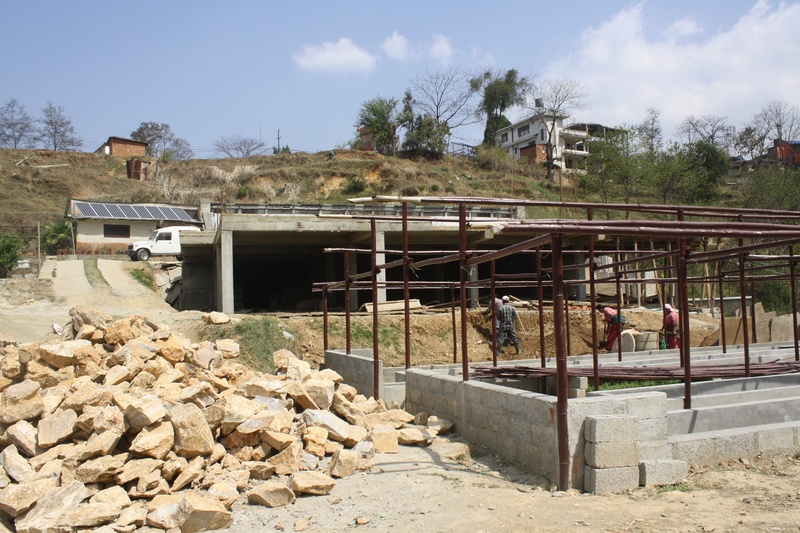 Can i ask if you know about HOPE NEPAL BIOPONICS? Do you have the address of the farm? take care:) peace. It’s just outside of Kathmandu. I got given a lift though so to find out exact location you will need to get in touch with HOPE bioponics Nepal.